Netanyahu says no to a Palestinian state: Will that cost him votes in Tuesday's election? Did Bibi Blow It? Can Buji Lead? What to Watch for in Tuesday’s Israeli Election. Boomerang? A sign promoting a speech by Israeli Prime Minister Benjamin Netanyahu at an election rally on March 15, 2015, in Tel Aviv, Israel. Israeli Prime Minister Benjamin Netanyahu dropped a last-minute bombshell into Israel’s election campaign Monday by promising that there will be no Palestinian state as long as he is prime minster. While Netanyahu has made it abundantly clear that he does not support the “two-state solution” in the past, today’s comments are the most definitive yet. A day before an election that’s looking like a tossup, the statement can only be seen as an eleventh-hour attempt to shore up right-wing support from a leader who’s surprisingly vulnerable. Back in December, when Netanyahu called for new elections, it looked like a shrewd move for the veteran Israeli prime minister. He had just fired the two most prominent moderate ministers in his Cabinet—Finance Minister Yair Lapid and Justice Minister Tzipi Livni. A strong showing in the election, which appeared likely, would have allowed him to form a new government with the right-wing and religious parties he considers natural allies. Since then, things have changed dramatically, and there’s a decent chance that the tenure of the longest-serving prime minister since the first one, David Ben-Gurion, is coming to an end this week. 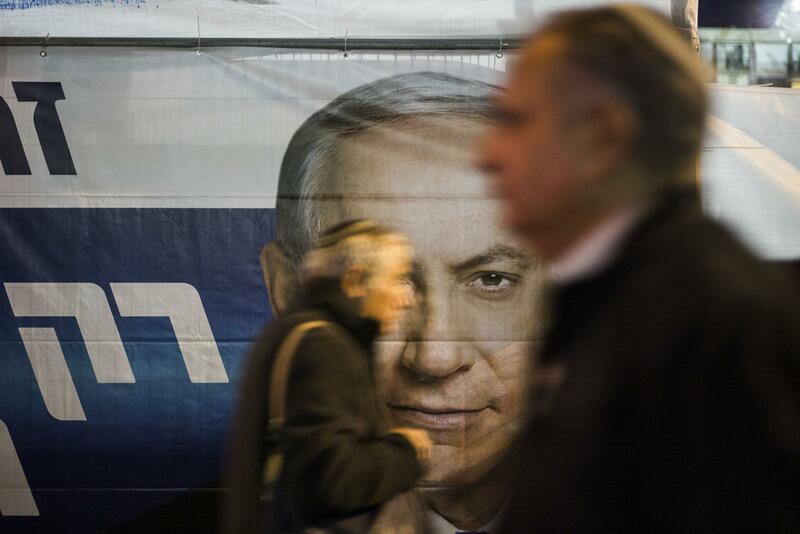 Before Israeli voters head to the polls Tuesday, here’s what you need to know. A defeat for Netanyahu would be a stunning turnaround for a leader whose approval rating was above 80 percent during the war in Gaza last July. His current predicament has less to do with his opponents than with growing dissatisfaction with him. “If you put up a cactus it would win some seats against Netanyahu because there are people who are just fed up with him,” the prime minister’s former spokesman told the New York Times a few days ago. All electoral math aside, this election is a referendum on Bibi. If he does lose, it won’t be primarily because of his views on Iran and the Palestinians—which aren’t nearly as controversial at home as they are abroad—but because of the rising cost of living, slumping economic growth, and yawning economic inequality in Israel. The recent acrimony between Netanyahu and the White House has also made Netanyahu vulnerable on his traditional strength—national security issues. Netanyahu’s contentious speech to the U.S. Congress earlier this month, which was widely viewed as a campaign stunt, did not, in itself, move the polls too much, but the overall tension has given the opposition an opening to attack Netanyahu for jeopardizing Israel’s most important security relationship. The prime minister’s opponents have also criticized him for using security issues to distract from problems at home, and his latest remarks on the Palestinian state certainly seem to fit the bill. After this election, the prime minister will almost certainly be either Netanyahu, again, or Isaac “Buji” Herzog, leader of the Labor Party. The center-left party dominated Israeli politics for the country’s first few decades but hasn’t been in power since 2001. Herzog is the scion of a prominent political family—his father, Chaim Herzog, was president from 1983 to 1993—and he has served in a number of positions in previous governments, including minister of housing and minister of tourism. In December, Herzog’s Labor formed a coalition with the centrist Hatnuah party, led by Livni—the justice minister whom Bibi fired, who was foreign minister before that. Livni is a former member of Netanyahu’s Likud, but the two have clashed repeatedly, particularly over negotiations with the Palestinians and the necessity of a two-state solution. If the Herzog-Livni alliance, known as the Zionist Union, takes power, the two have agreed that he will be prime minster first, and then she will take over after two years—though at the moment, it’s not clear if that deal is still on. Herzog and Livni weren’t considered particularly viable candidates until recently. Buji’s not all that charismatic, and Tzipi—currently running with her third party in 10 years—has a reputation as a flip-flopper. It’s mostly a reflection of Netanyahu’s weakness that the alliance is doing as well as it is, though some observers also cite the growing influence of younger, more moderate voters. “Moderate” parties are poised to have a good night—the left, not so much. Given Israel’s small population and the large number of choices—there are 14 political groupings in the current Knesset and 26 parties are running in the election—polls are often unreliable. In 2013, for instance, Netanyahu won by a much smaller margin than expected. But Bibi’s not-on-my-watch statement Monday suggests he trusts the polls, and is feeling desperate. After the votes are in, President Reuven Rivlin will ask one of the parties to form a government. This is usually the party that gets the most votes, but not always. Rivlin has said he will give the mandate to the party with the best chance of putting together the 61 seats necessary for a majority. In 2009, Netanyahu did just that despite getting fewer votes than Livni. This scenario could repeat itself this time around. Herzog’s path to victory is trickier. It would likely involve the small left-wing Meretz party, Yesh Atid, and Kulanu, but that’s only going to be about 50-odd seats. It’s possible Meretz may not even clear the 3.25 percent threshold for representation, which could stop Herzog’s efforts cold. Netanyahu and Lieberman pushed to raise that number from 2 percent a few years ago. Labor leaders have been floating the possibility of an oddball coalition with the ultra-Orthodox parties, who are extremely conservative on social issues but lean further to the left on economics. One major factor to keep an eye on is the United Arab List, a new coalition of smaller Arab parties put together to overcome the new 3.25 percent threshold. With polls showing Israeli Arabs, galvanized by recent events including the passage of a controversial “nationality law” last fall, planning to vote in higher numbers than ever before, the UAL could become the third-largest faction in the Knesset. The Arab parties have a long-standing policy of not joining coalitions with Zionist parties, but they may be tempted if it means getting rid of Netanyahu. A unity government involving both Herzog and Netanyahu appears unlikely, given how acrimonious this election has gotten, and Netanyahu has said he’s ruled it out. But these pledges aren’t worth all that much until the votes are actually in. President Rivlin is reportedly in favor of the idea. The White House will likely be euphoric if Netanyahu loses. The two administrations plainly loathed each other even before Netanyahu’s speech stunt. This isn’t to say that everything would be smooth sailing with Herzog in power. The Labor Party argues that Netanyahu has bungled the Iran situation, but shares some of his concerns about a too lenient nuclear deal. And while both Livni and Herzog are committed on paper to negotiating a two-state solution, they could have very different ideas about how to negotiate that than the Americans. That said, Obama would presumably rather have almost anyone than Netanyahu to deal with at this point. For Republicans, the politics are a bit trickier. With Israel becoming an increasingly partisan issue in the U.S., the GOP’s support for Israel has often been difficult to untangle from its general enthusiasm for Netanyahu. That dynamic could change if Israel has a government committed—in theory—to a two-state solution, improving relations with the Obama administration, and leftish economic policies. See you in two years? Right now, the one thing we can predict with certainty about the next Israeli government is that it won’t be a stable one. Israeli governments usually collapse before their full four-year terms are up. The last one collapsed after less than two years. Even if Netanyahu gets the right-wing-dominated government of his dreams, things are unlikely to go smoothly. The Gaza war, while popular, exposed rifts between the prime minister and right-wing ministers like Lieberman and Naftali Bennett, who thought Bibi was too quick to seek a cease-fire with Hamas. Plus, he’ll have to deal with ultra-Orthodox leaders who plainly don’t trust him to represent their interests. A left-center government involving either the Orthodox parties or the Arab List would likely be even flimsier. There’s a good chance we’ll be doing this all over again very soon. After a brief interregnum, we could even see Netanyahu try for a third go at the PM’s office. It’s never been wise to underestimate him.